The Milwaukee Brewers made a few notable roster moves before the non-tender deadline Friday evening, as infielder Jonathan Schoop and relievers Xavier Cedeno and Dan Jennings were non-tendered. Infielders Hernan Perez and Tyler Saladino both signed one-year contracts, avoiding arbitration. Schoop was acquired at the trade deadline from Baltimore for Jonathan Villar, Luis Ortiz and Jean Carmona. He was expected to provide some pop at the second base spot for the Brewers, but he mostly fizzled. 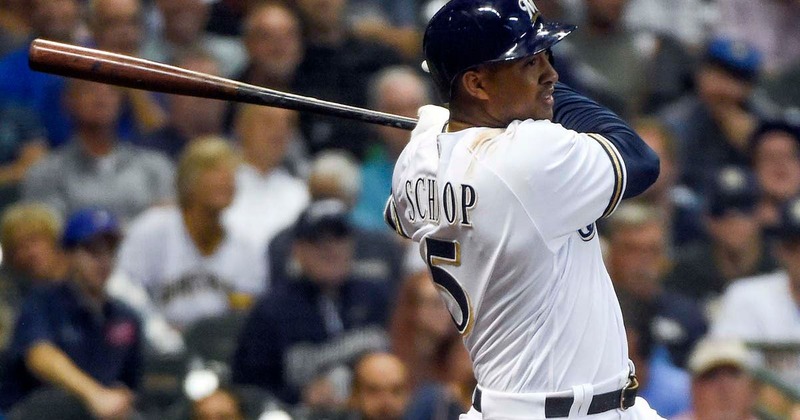 In 46 games for Milwaukee, where he played both second and shortstop, Schoop had a slash line of just .202/.246/.331 with four home runs and 21 RBI. He struck out 41 times in 124 at-bats. Schoop was hitless in eight postseason at-bats with three strikeouts, including 0-for-6 in two NLCS games. The 27-year-old made $8.5 million in 2018. The website mlbtraderumors.com projected him to receive $10.1 million in arbitration. The left-handed Jennings was signed as a free agent by the Brewers on March 30, just two days after he was released by Tampa Bay. He appeared in 66 1/3 innings over 72 games, posting a 3.22 ERA, 13.383 WHIP and 6.3 K/9. However, he pitched in only 2 2/3 innings in September, allowing six hits and one run, and was left off Milwaukee’s playoff roster throughout the Brewers’ postseason run. The 31-year-old reliever owns a 2.96 ERA over seven major-league seasons. Jennings made $1.4 million this past season and MLBtraderumors.com projected he’d receive $1.6 million in arbitration. Cedeno, a fellow left-handed reliever, was sent to the Brewers at the trade deadline. He appeared in four games in the NLCS and allowed three hits and two earned runs while facing a total of seven hitters. After the Brewers traded for Saladino in April, the 29-year-old appeared in 52 games for Milwaukee and hit .246/.302/.398 with five homers and 16 RBI. Saladino’s one year deal is worth a reported $887,500. Perez, who’s played for the Brewers since 2016, appeared in 132 games and notched a .253/.290/.386 slash line with 36 runs scored and 11 doubles.